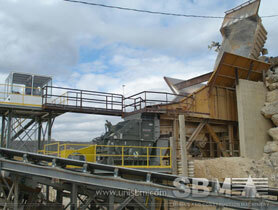 Dolomite crushing is in the beginning part of the whole mining process, so dolomite crushing process is quite important. As a dolomite dolomite pulveriser manufacturer, SBM can design dolomite crusher plant and dolomite crushing machine for quarry plant. SBM dolomite crushing machine includes jaw crusher for primary crushing process, impact crusher and cone crusher for dolomite fine crushing. "SBM designs and manufactures a comprehensive line of dolomite crusher machine as jaw crusher, cone crusher and portable crushing plant. "